English weather hits Trotton fete 2017! 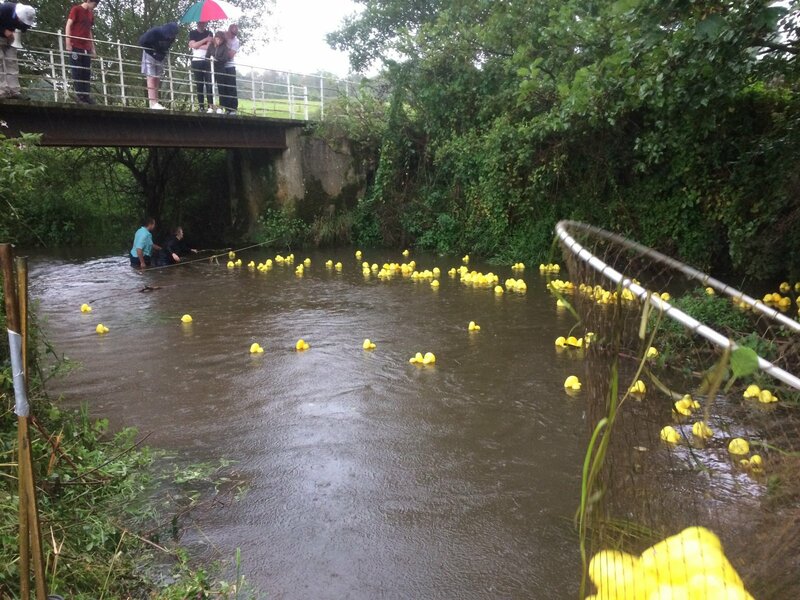 - - - after the winning duck had been netted (right corner) the spectators mostly belted for cover from the downpour, so there were only a few left as the next big batch of ducks swam down to the finishing line! !